Joshua Tree (Yucca brevifolia) is a monocot in the Lily family (Liliaceae). Joshua Tree got its common name from Mormons, who thought the outstretched branches resembled Joshua in prayer. It is thought that the Shasta ground sloth was the primary disperser of Joshua Tree fruits before they went extinct. This species is pollinated by the Yucca moth, which spreads pollen and fertilizes flowers while in the process of laying its eggs inside the flower. The larvae then hatch in the fruit and feed on the seeds. So, while the Joshua tree depends on the moth for reproduction, the moth can also hurt the plant's ability to reproduce! The CPP four letter code for this species is YUBR. This species is currently monitored at Joshua Tree National Park. Download the USA-NPN datasheet for Yucca brevifolia here. 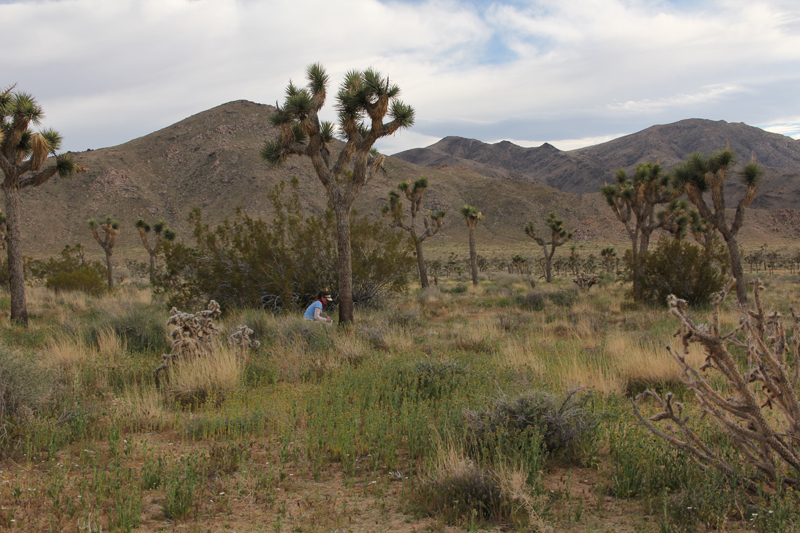 Download the CPP species profile for Yucca brevifolia here.